Andres Roots Roundabout: First Review, UK Top 50 & Tour Dates! First Review, UK Top 50 & Tour Dates! It's been almost three weeks since "Live In Lerwick" was released, and so far - and as far as we know - it's been on the air in Estonia, the UK, the Netherlands, France, Germany, Denmark and Canada. The first review is in from Holland: "Fifty minutes of listening pleasure with old but oh so delicious blues" - read the full-length Dutch version here. 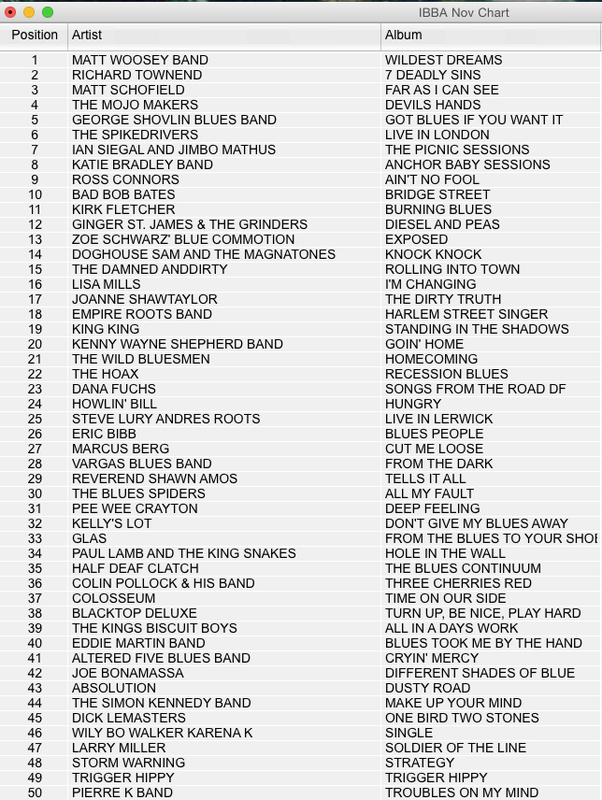 And then last night, it was revealed that "Live In Lerwick" made it to #25 in the UK Independent Blues Broadcasters Association's top 50 airplay chart for November (see sidebar)!!! We can also confirm that all Roots Art CD's are now available in Finland and Sweden, and that dates have been announced for Roots & Terep's Trad.alt.winter tour of 2015: Jan. 30 Piazza Blues in Lahti, Finland with Antsu Haahtela (FIN), Jan. 31 Ghettoblues in Helsinki, Finland with Zalo Duo (FIN), Feb. 4 Feel Good Music Café in Tartu, Estonia with Dirty Trainload (ITA), Feb. 19 Suistoklubi in Hämeenlinna, Finland with Dr Feelgood (UK), Feb. 20 Pikku-Torre in Turku, Finland with Devil Box (FIN), and Feb. 21 Eikan Pub in Järvenpää, Finland. Yes, Roots & Terep will be opening for the legendary Dr Feelgood in Hämeenlinna!! !